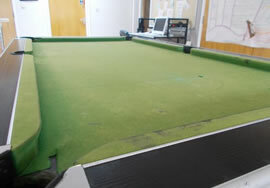 The original green wool cloth was virtually through to the slate, the cushions were hard and the cloth was threadbare. 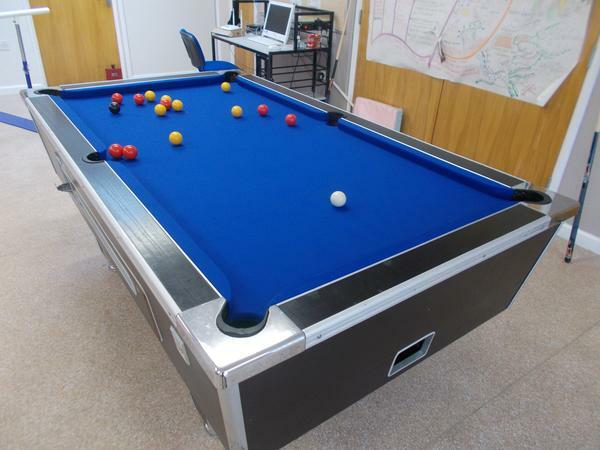 Our hard wearing blue nylon speed cloth has totally transformed the table and new cushions will give clients a far better game of pool. 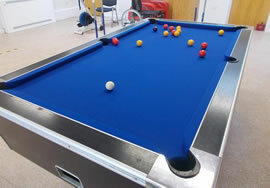 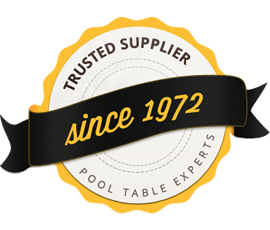 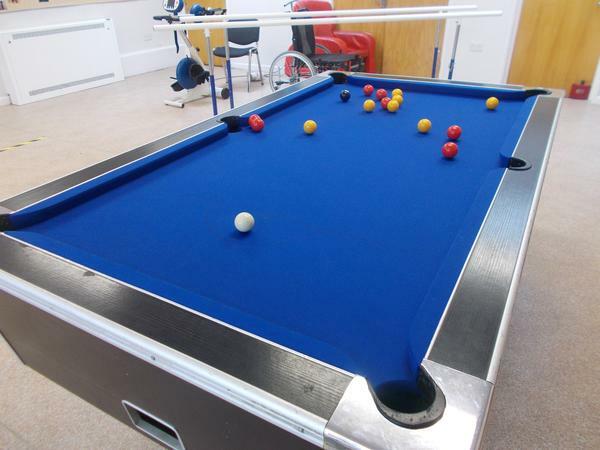 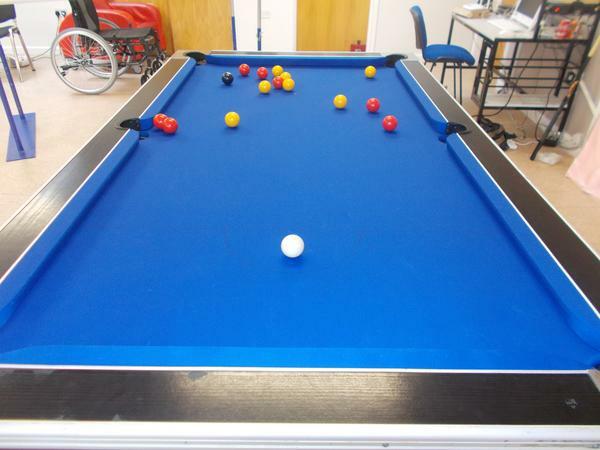 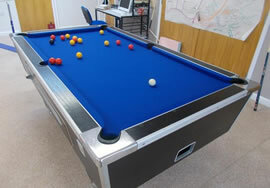 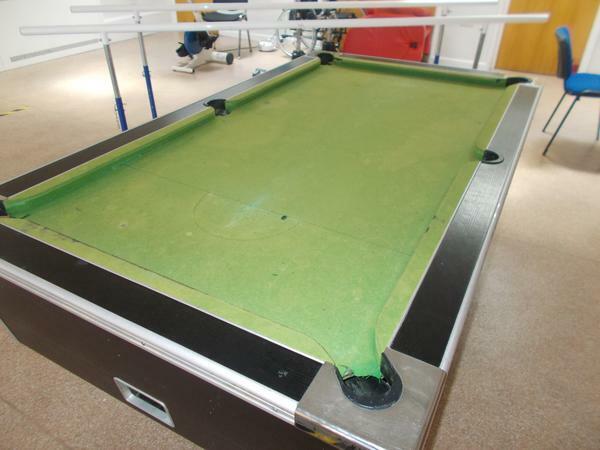 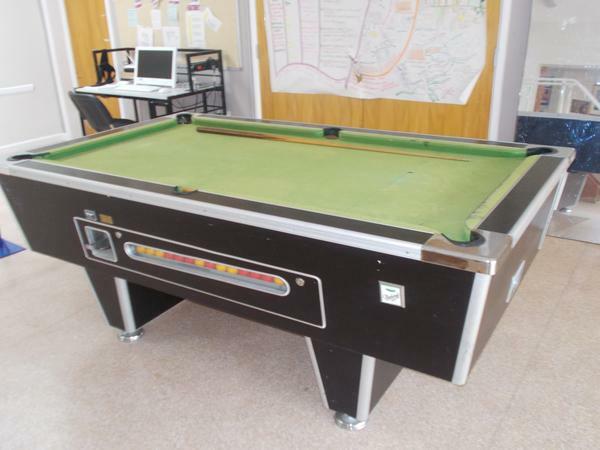 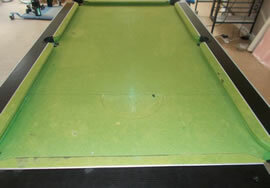 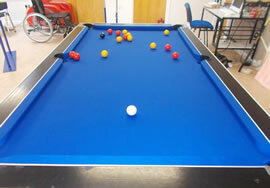 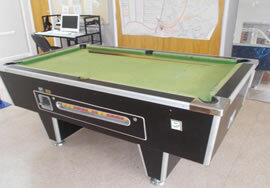 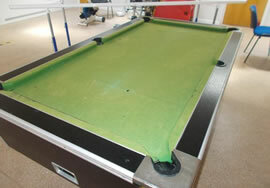 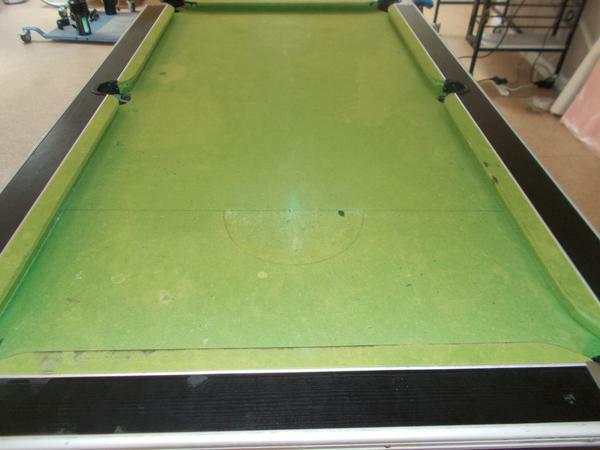 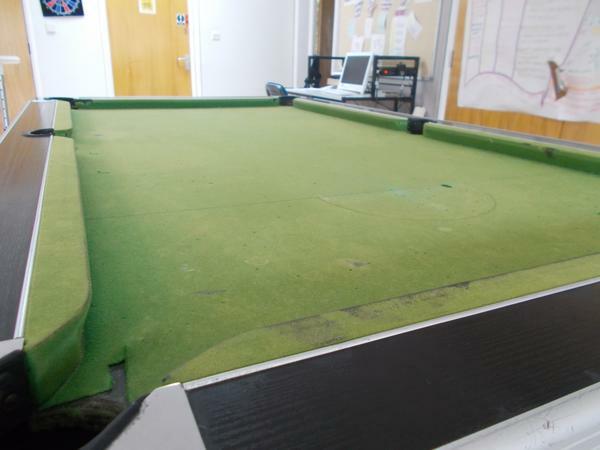 Transform your pool table with either wool or nylon cloth and new cushions.